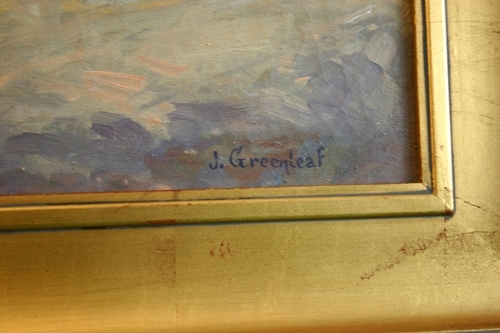 Born in Reval, Estonia, Jacob Greenleaf became an active painter in Rockport, Massachusetts. 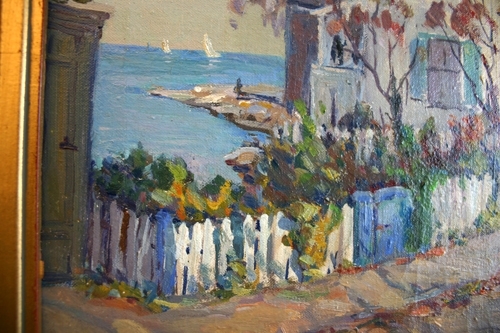 He studied at the Vilno, Russia Art School and in Paris for two years. 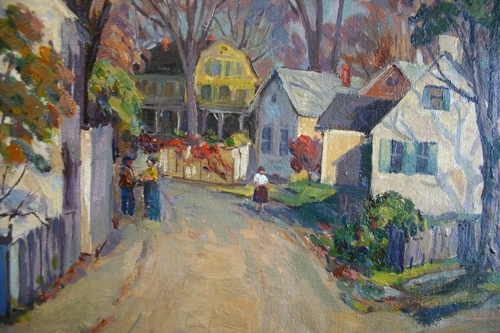 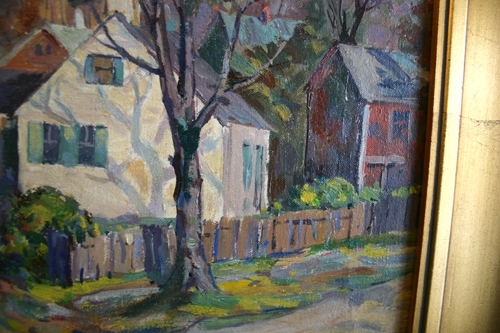 He was a member of the American Artists Professional League and exhibited at the Connecticut Academy of Fine Arts, the North Shore Arts Association, the Rockport Art Association, and the National Academy of Design. 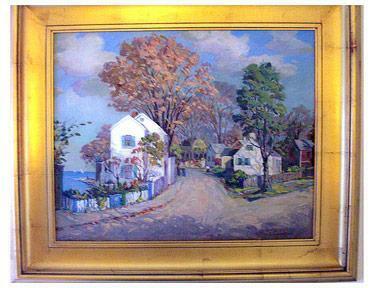 This is a wonderful village scene with people in the streets and boats in the water. 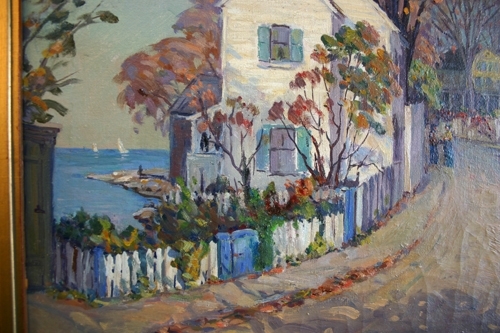 His palette is wonderful and this painting would add to any east coast collection.